MOSCOW—Stressing that they are on the precipice of a major crisis, Russian Olympic Committee officials held a press conference Friday to confirm that the team’s clean urine reservoir is almost fully depleted. 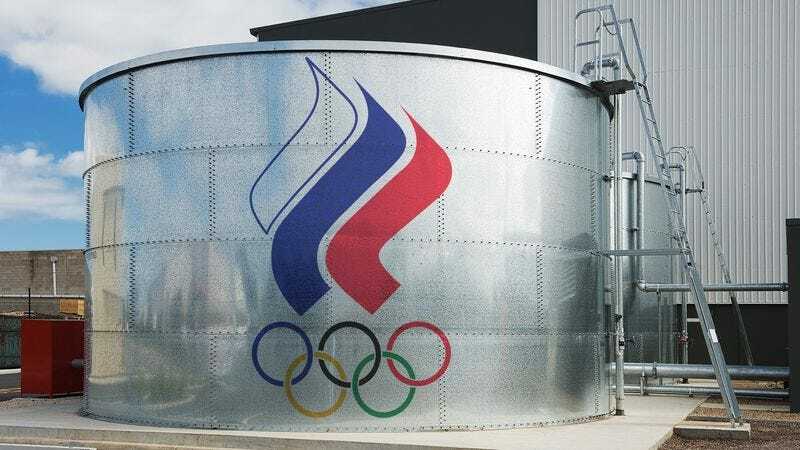 “The demand for fresh, clean urine over the past two weeks has greatly exceeded our supply, and unfortunately, if we aren’t able to get more soon, our athletes may run out well before the final Olympic events,” said committee president Alexander Zhukov, adding that the 400,000-gallon reservoir’s supply of clean urine is at its lowest point in decades. “We are currently enacting numerous urine management techniques in order to conserve what little we still have left, but if we are unable to replenish our supply soon, we will experience our nation’s worst clean urine shortage since the 1992 Summer Games.” At press time, in response to the emergency, the Chinese Olympic Committee confirmed that it will immediately donate 200,000 bottles of clean urine to the Russian delegation.